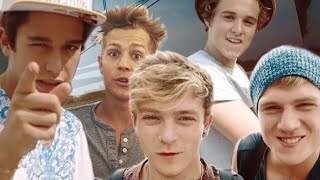 The Vamps hit the road on the Austin tour and start in Texas! The girls of 5H stop by their sound check, Brad gives us a bus tour & Austin wishes them luck on their first show! 5th Harmony + Austin Mahone Nursery Rhyme Medley ... The Vamps Sound Check Bus Tour with 5th Harmony and Austin Mahone - The Vamps Takeover Ep 1 08:21. Uploaded 4 months ago. More Celebrity News http://bit.ly/SubClevverNews We’re testing your Austin knowledge, no, not Austin Texas but rising star Austin Mahone. More Vamps Takeover ... The Vamps Sound Check Bus Tour with 5th Harmony and Austin Mahone ... 5SOS Fridays Ep. 6 01:28. Austin Mahone Girlfriend Face-Off: Camila Cabello Vs. Becky G! !